Just like the recently rejuvenated Youthless, Straw Bear are a band for whom a slight return is actually a doubling-down of their brilliant abilities, and confirmation of their rare talent. In many ways, Straw Bear couldn’t be more different. Where Youthless’ M.O. is to plunge head-first into life, Straw Bear explore the world with rapt curiosity — and yet both bands produce deeply life-affirming pop songs of love and beauty. 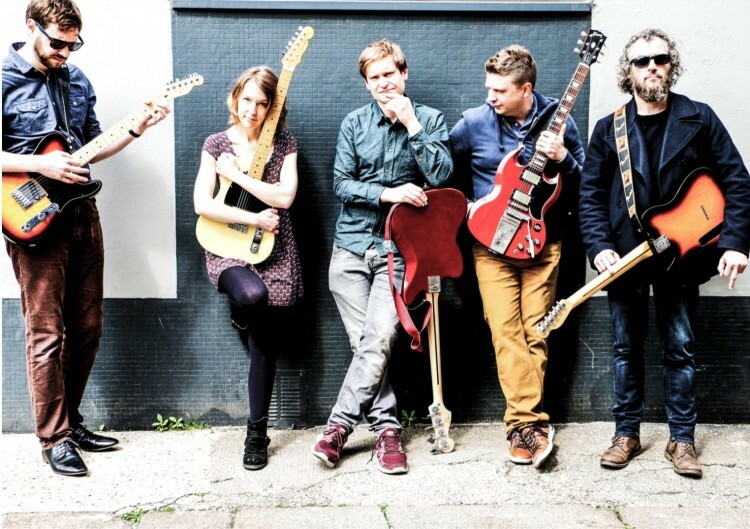 Their last LP of songs, the fragile and lovely Black Bank, grabbed them a slew of hugely influential fans at the BBC – in Tom Robinson, Bob Harris, Huw Stephens and Cerys Matthews – scoring not only a BBC 6 Music session, but also being selected to play the BBC Introducing stage at The Great Escape. So how do you follow that? Well, you disappear and return with another bunch of lovely songs, of course. Easy. All You Need Is An Electric Guitar drags the slightly woozy quality of Straw Bear’s songwriting to the fore. The result is a song which weaves folksy tunefulness with a hazy chorus that repeats and repeats and repeats – just because it’s so simple and good. Choruses that burst into life with such oomph and such purity are the most difficult thing to write. It’s been spinning around my head since I first heard it. Their new album follows soon, and live London dates. Sound familiar? They’re the anti-Youthless, in the best possible way. Wonderful. Posted on November 9, 2015 by Joe Sparrow. This entry was posted in "Brilliant" Bands, Today's New Band. Bookmark the permalink.